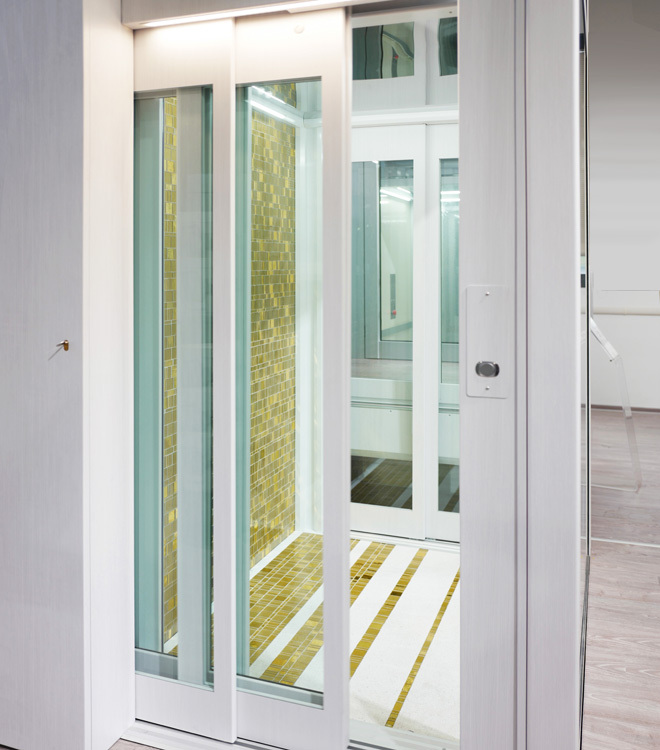 The design elevator DomusLift Liberty will give your house a unique look! 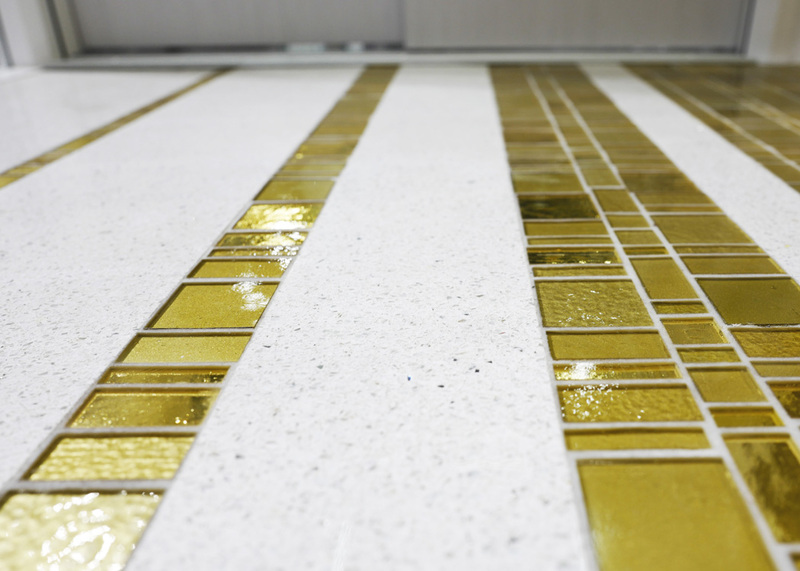 The unique Liberty mosaic made with handcrafted glass shapes lighting effects by alternating smooth and wavy, chromed and iridescent tiles, which enhance and beautify DomusLift surfaces. 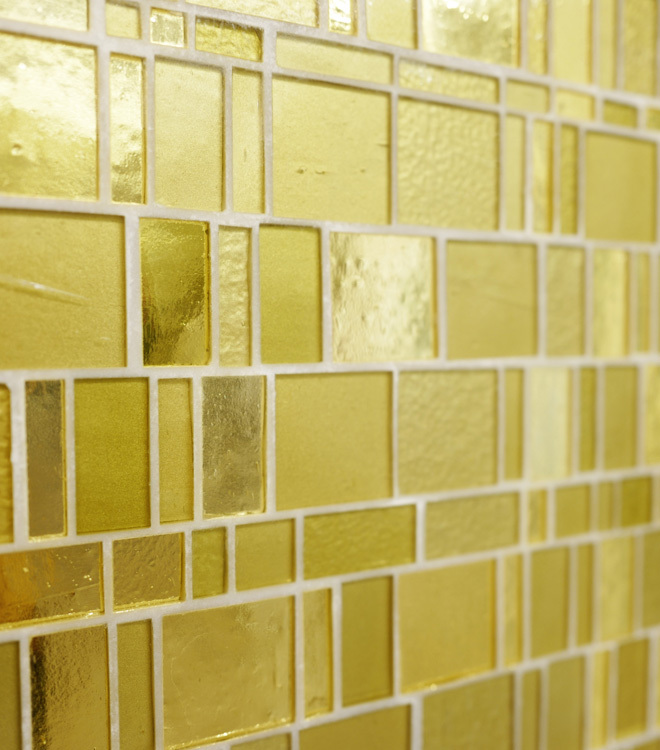 The decorative mosaic tiles, by Trend Group a leading producer of mosaics since 2000, are the ideal choice for creating a custom interior design. 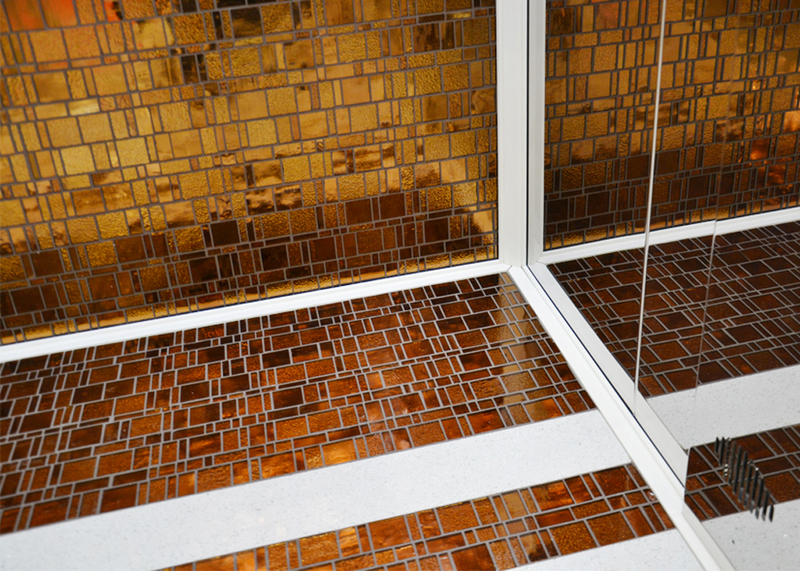 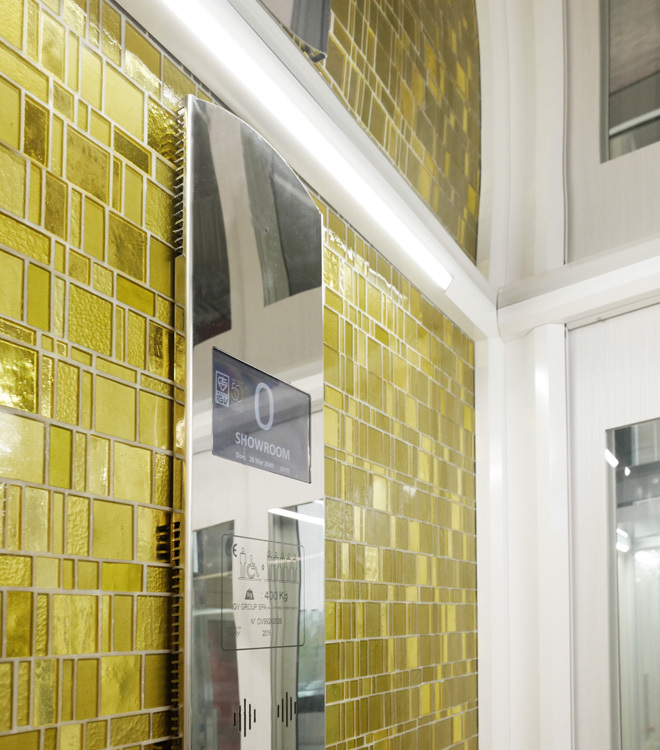 The sophisticated harmony of Art Deco’ inspired the DomusLift cab interior with a combination of glossy and matt tiles cut in different sizes, showing an innovative approach in laying mosaics. 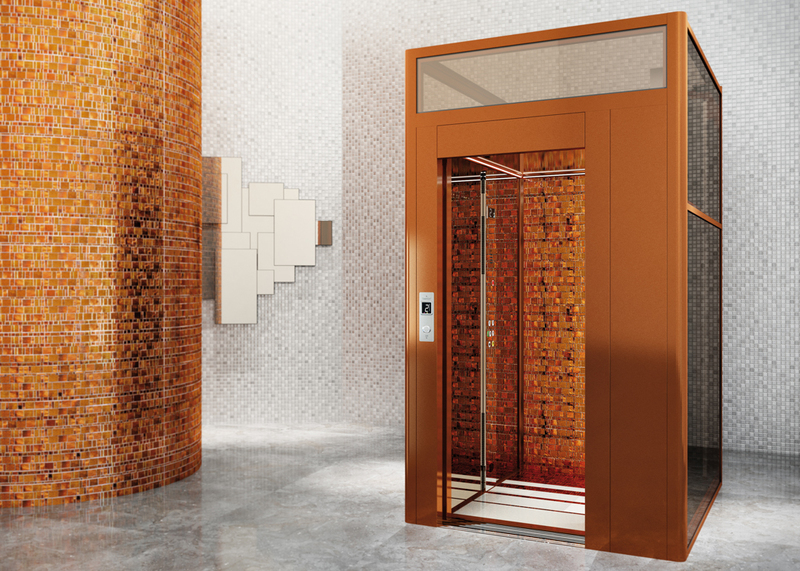 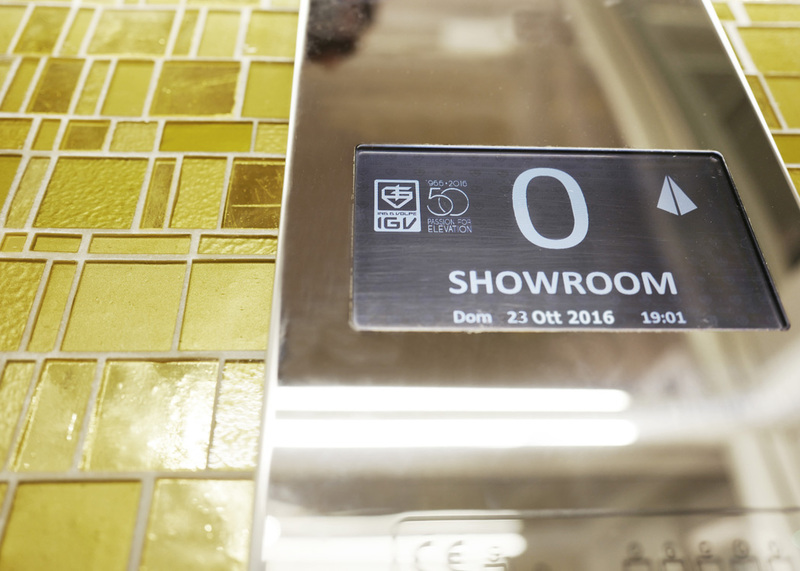 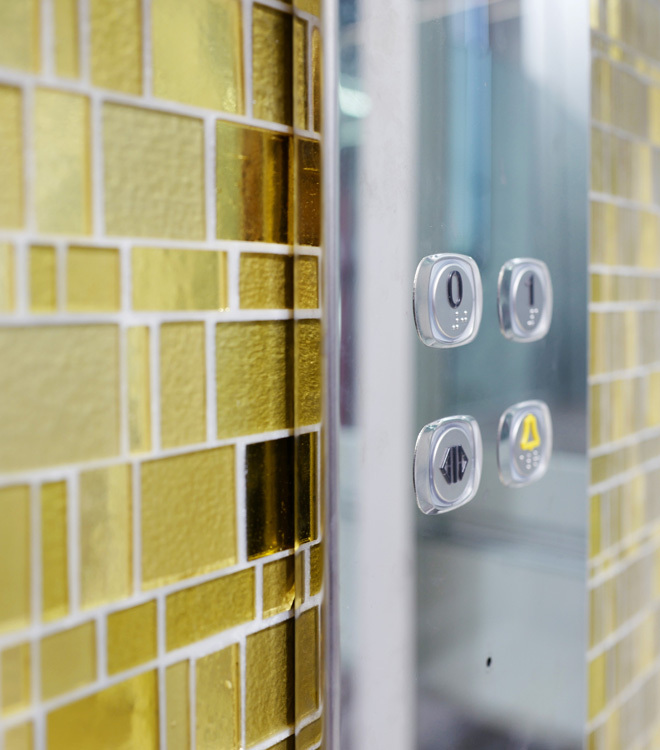 The Liberty design elevator is available in different colors, you can choose from different designs, decorating ideas and create your own combination.